that CBS conducted an "informal" tour of agencies, meeting with executives to map out the future of its media buying and planning strategy. The report fuels industry speculation that CBS wants to pull Ten out of MCN; the sales house for Foxtel and Ten. An announcement on the future of Ten and MCN is expected to be made when CBS reveals their second-half results late next week. “MCN has a number of international partners who often visit Australia and meet with our teams and agency clients to provide updates on their businesses," A spokesperson from MCN told AdNews. Both MCN and News Corp have repeatedly denied the speculation Ten willl split from MCN, however the recent changes at MCN have done little to reassure the market. 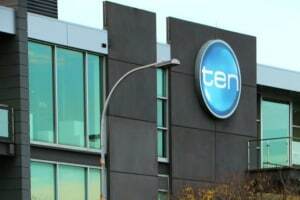 “It’s business as usual and our focus continues to be on promoting the strength of our second half programming with advertisers and audiences," Ten said, refuting the rumours. Earlier this month, it was revealed long-time boss Anthony Fitzgerald will leave the business with Mark Frain to take the helm. News of redundancies followed with AdNews revealing 30 redundancies were made within MCN as it reshaped its operating model. MCN said at the time the redundancies had no correlation to Fitzgerald's departure. CBS, international broadcaster and network Ten owner, is reportedly meeting with senior media agency executives as the date for the company's investor presentation rapidly approaches. The AFR has reported that CBS conducted an "informal" tour of agencies, meeting with executives to map out the future of its media buying and planning strategy. The report fuels industry speculation that CBS wants to pull Ten out of MCN; the sales house for Foxtel and Ten.